As the weather warms up, our venomous snakes come out to bathe. 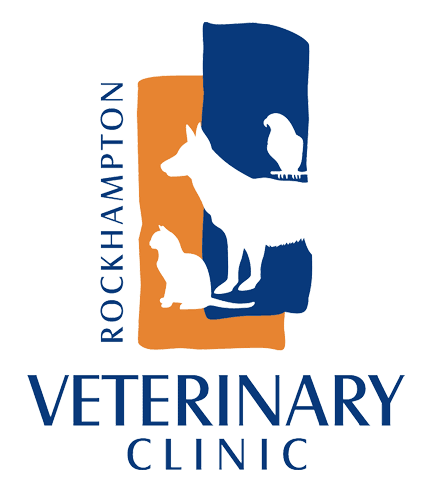 The clinics in the Rockhampton area are seeing an increase in the number of snake bites. One of our own nurses, Natasha, had a close call with her dog, Rogue. Rogue was bitten on the foot by a snake. He was very fortunate to have either a dry bite or have been bitten by a non-venomous snake. Rouge is one very lucky dog considering Natasha has seen multiple brown snakes on her property in the last few days. The most common reasons snakes venture into homes are food, water and shelter. The basic needs of all animals. There are ways to make your house less attractive to snakes. Controlling their food source - if you have a mouse or rat problem there is a good chance you will also have a snake problem. Remove debris from around your home, a pile of timber is the perfect hidey place. Providing a shallow water source that is away from your house can aid in avoiding close encounters. Different snakes can cause different symptoms but some of the common ones are collapsing or vomiting straight after being bitten. Your animal may appear to recover quickly but then as time passes will show more symptoms such as dilated or enlarged pupils, hind leg weakness which progresses to complete paralysis, rapid and shallow breathing, trembling, drooling, depression, bleeding from wounds, blood in their urine or vomiting and pale gums. Identification of the snake can aid in the treatment of your pet however your safety should always come first. If you can get a picture on your phone of the snake safely for identification purposes please do so. Please never try to catch a snake yourself! CQ Snake Identification on Facebook is a great source for identification and snake catchers in your area. If you think your pet may have been bitten it is extremely important to get them to a vet ASAP! Early treatment with antivenom is your pet’s best chance of surviving their encounter with a venomous snake.